"Let's do what we were born to do: populate!" 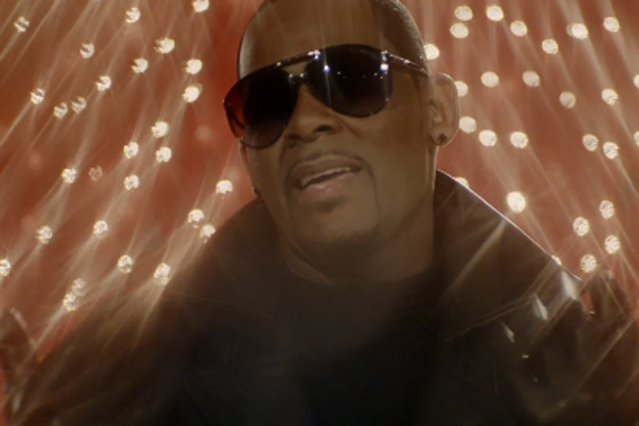 A third installment of the one-of-a-kind music-video saga Trapped in the Closet isn’t the only sequel R. Kelly has in store for us this year. The powerful-voiced R&B singer-songwriter and recent Future collaborator has confirmed he’s also working on a follow-up to 2010’s fantastic Love Letter, which will apparently be titled Write Me Back. “Share My Love,” the first single, first surfaced online in February, but its lighter-than-air positivity — and overwhelming reproductive urges — could hardly be a better fit for spring. As for “Share My Love” itself, it suggests Kelly is taking the idea of Write Me Back as a Love Letter sequel delightfully literally. While that album crossed multiple decades of romantic R&B — that wailing guitar solo on “Taxi Cab,” for instance, has “Dirty Diana”-era Michael Jackson written all over it — its first video selection, “When a Woman Loves,” harked back to the innocence of early-’60s Sam Cooke. “Share My Love,” by contrast, leaps ahead to ’70s Philly soul, draped in strings and thumping with disco, though with a bit of Kellz’ familiar Chicago stepping-music feel, too. The Pied Piper is as charmingly self-aware as ever, too: “Populate!” he booms at a climactic moment, and no one has a bigger grin about it than he does.